Sasangir plays home to the world's renowned Gir Forest. People from far and wide come here to see the Asiatic Lions in their natural habitat. So, it is quite natural that these people look for proper accommodation facilities. 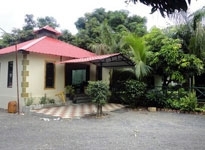 Hotels in Sasangir are the right choice for these travelers. 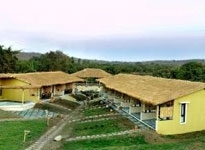 Sasangir Hotels are located favorably near the popular Gir National Park which is a huge draw for the tourists. So, people staying at these hotels can visit the National Park quite easily. In the intense jungle of Sasangir, it is truly a visual delight to watch the lions wander freely. A wide range of birds and animals can also be seen here. So, after a hard day at the Gir National Park, when you return to your hotel, the comfortable rooms of the Hotels in Sasangir would extend a pleasant ambiance to relax. 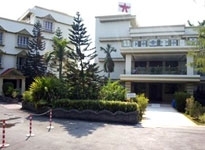 Sasangir does not boast of many hotels. 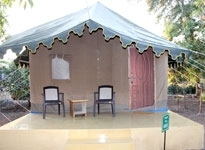 However, a majority of the Hotels of Sasangir provides accommodation in camps or tents. The focus is on the opportunity to see the wild lives rather than the lavishness of Star Hotels. 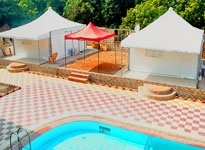 However, all these Hotels in Sasangir offer well appointed rooms so that you don't have to compromise on the quality while you enjoy the wilderness of Sasangir. 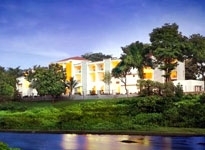 Many Hotels at Sasangir boast of entertainment facilities such as audio-visual programs in the twilight. 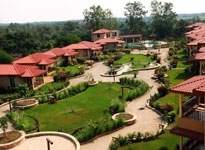 So you can be sure of having a good time at these Hotels in Sasangir. 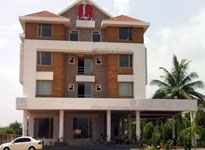 So, have you pick from the Hotels in Sasangir and enjoy a comfortable stay.